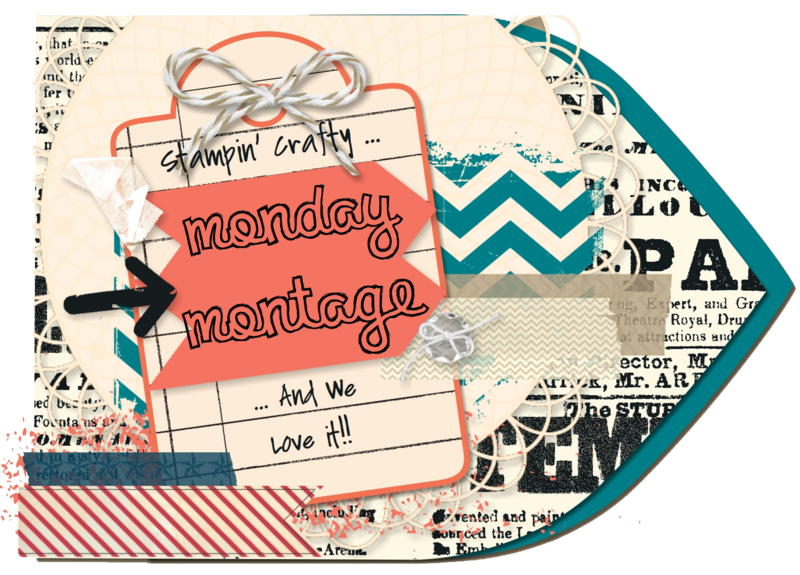 Its time for another Monday Montage Blog Hop!!! I had orignially planned to share a big project I've been working on with you today, but I didn't quite finish. So, onto Plan B. I wanted to challenge myself with this card. Even in my graphic design work, I tend towards very geometric and structured layouts. While this is still pretty structured, its a good start. The card became instantly more fun and whimsical by just turning the one layer on an angle. 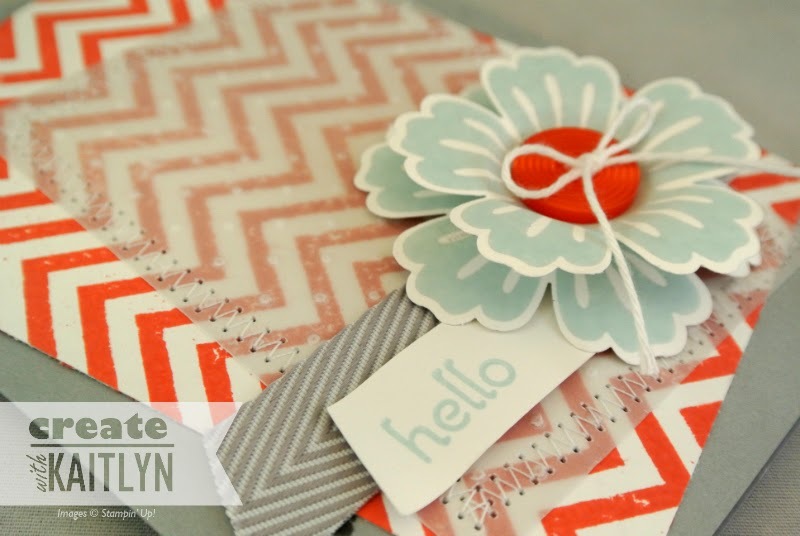 To start I stamped by favorite background, Positively Chevron, in Calypso Coral on Whisper White Card Stock. I then layered a piece of Vellum Card Stock embossed with the Perfect Polka Dots Embossing Folder over the chevron. While I was loving this layering, I felt like the Smoky Slate card base need some jazzing up. So, I pulled out the most versatile stamp set in the world, Gorgeous Grunge, to add some interest to the background. The adorable flowers are from the Mixed Bunch stamp set and punched out using the Blossom Punch. One of my favorite tricks when working with flowers is to cut a slit in between two petals on the top flower and glue the two petals on top of each other. This make the top flower a little bit smaller and gives some height to the flower. The sweet little "Hello" is from the A Dozen Thoughts stamp set (one of my favorites). I finished the card off with a Calypso Coral Button, Smoky Slate Chevron Ribbon, and some stitching around the vellum layer. Be sure to continue along the hop by clicking the "Next" button below! This is such a fun card! I love your colors and all of the layers. So super cute!